The Ravel RC024-26 series of alarm clocks have the folding stand and crisp, modern, easy to read dials as their main design features. 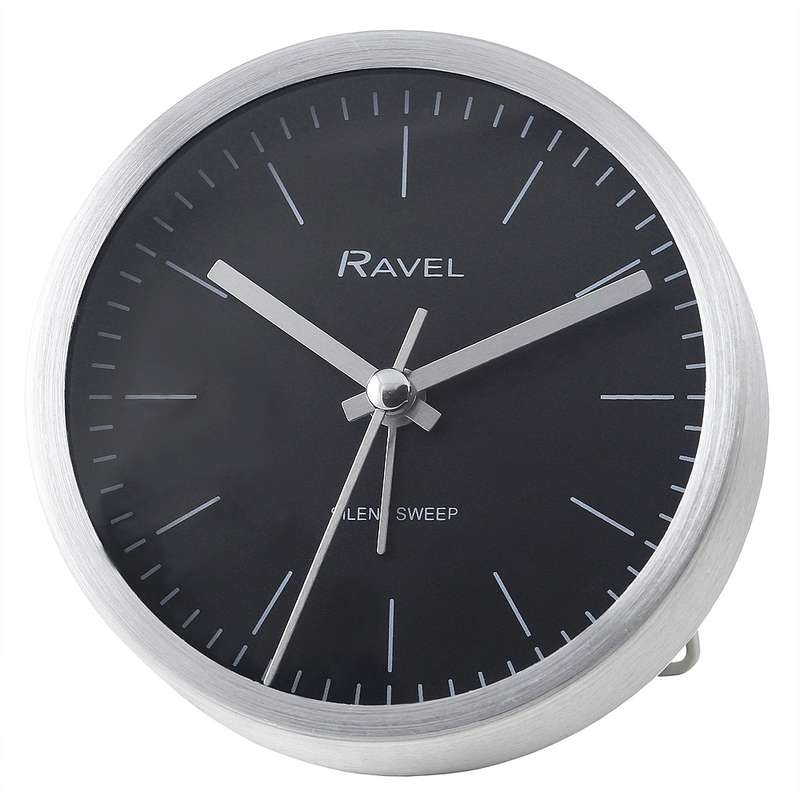 The Ravel RC025 comes in a round brushed metal case in a choice of silver and rose gold finishes. The semi oil black dial with bold, clear white index create this modern alarm clock that is bang u to trend. All Ravel Clocks come packed in their red and black picture presentation box. Packed in Ravel Alarm Clock Presentation Box.